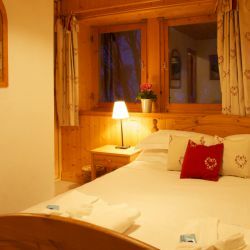 Chalet Sorbier is a traditional chalet that is located close to the slopes and the resort centre which gives the best of both worlds. 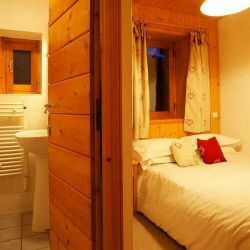 The chalet is situated on a quiet pathway in amongst the pine trees so you will enjoy a tranquil location for your ski holiday in Meribel. 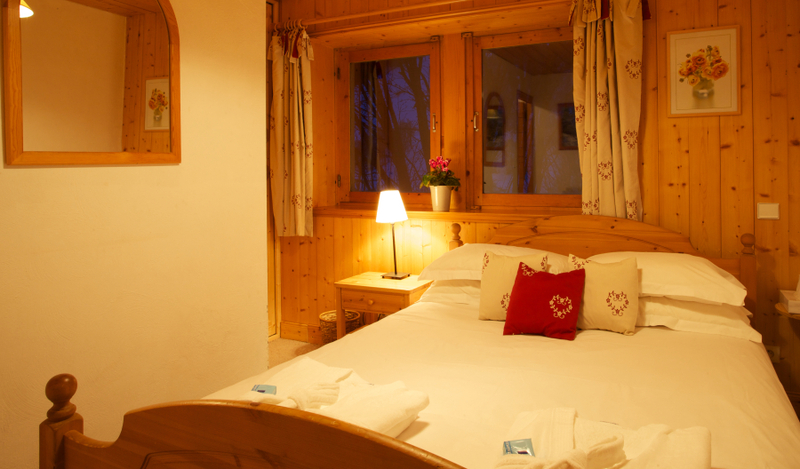 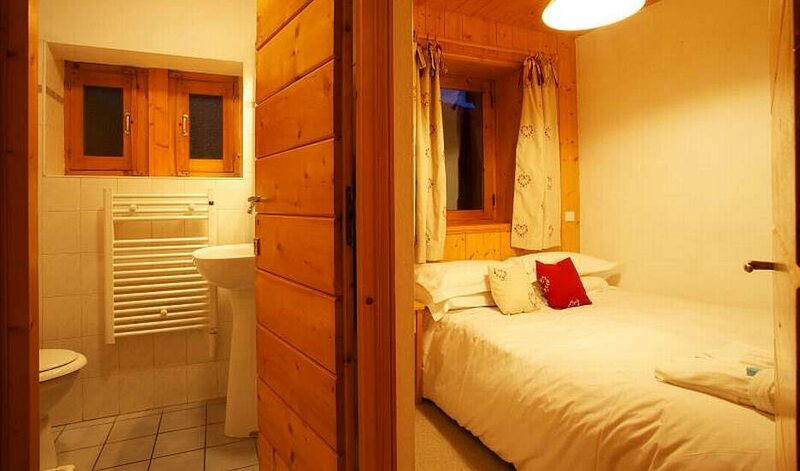 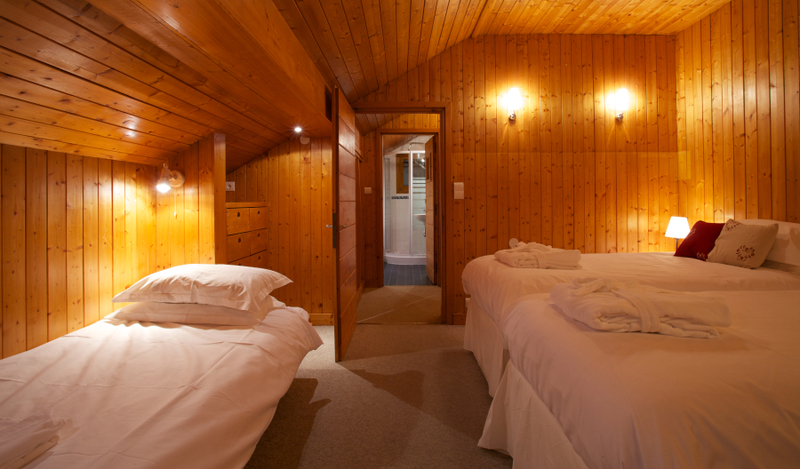 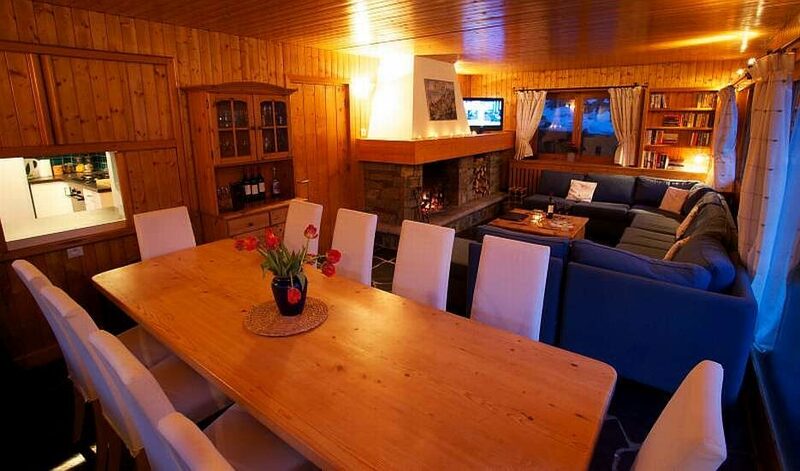 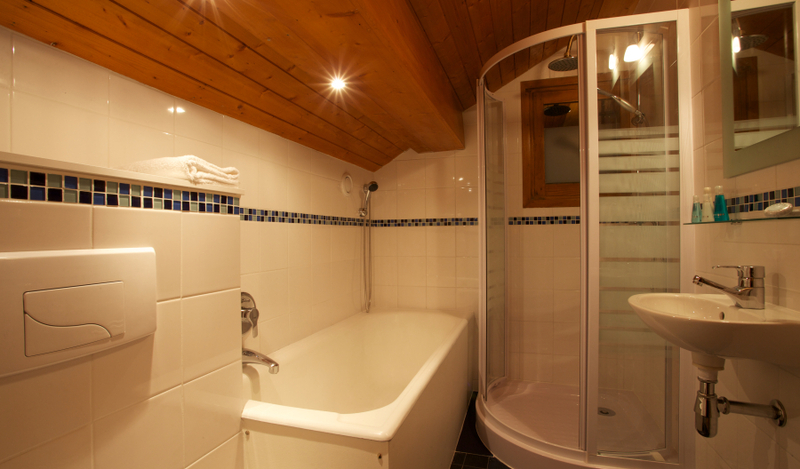 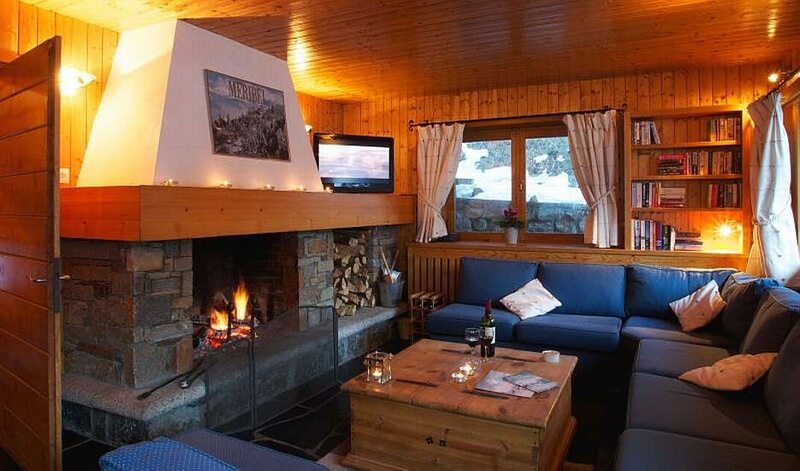 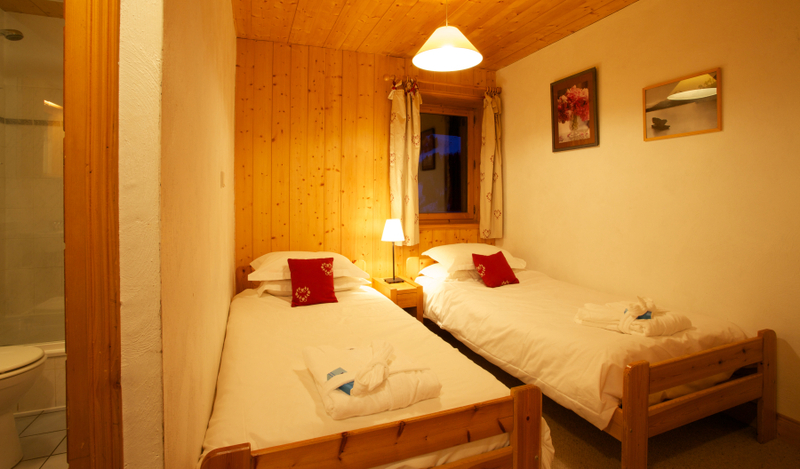 Enjoy the comforts of this traditional chalet in the cosy living room with your feet up in front of the open fire. 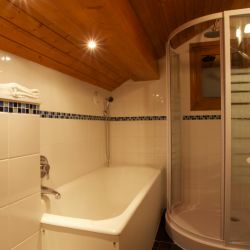 Alternatively the hot tub will be bubbling and waiting for you to relax in. 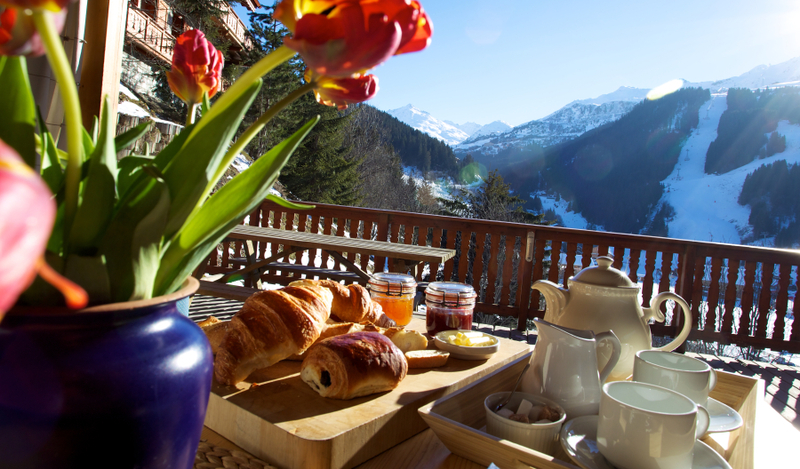 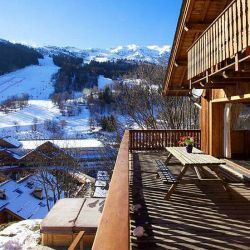 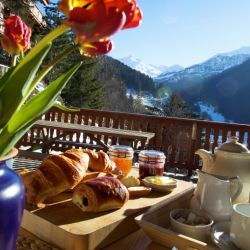 There is also a large sun terrace which is perfect for taking in the stunning views across the Meribel Valley and Mont Vallon. 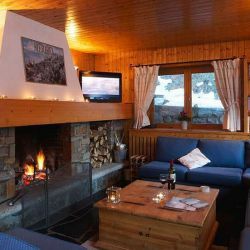 As access for cars is restricted in the winter due to its location across the piste we will help you with your bags on arrival and when you leave. 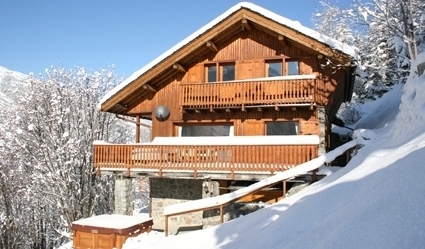 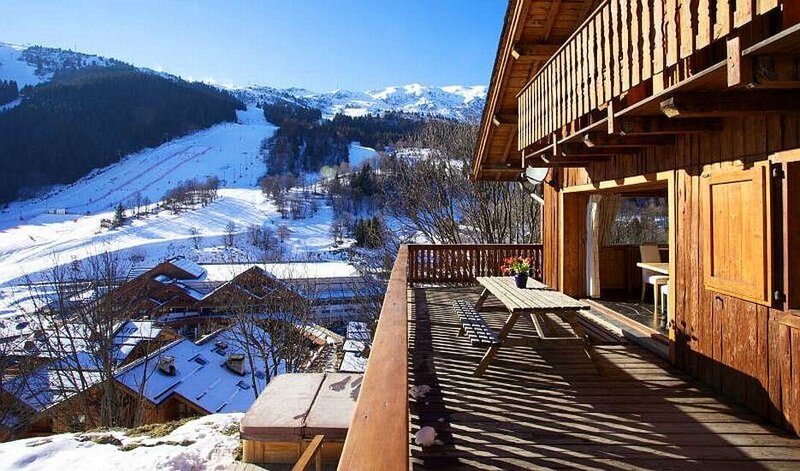 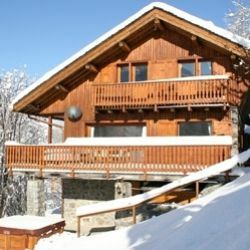 The chalet is nestled in the pine trees right on the main piste to La Chaudanne with the main lifts are. 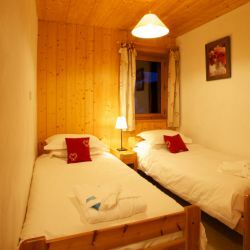 You can practically ski to and from the door and it is just a five minute stroll to the shops, bars and restaurants in the resort centre. 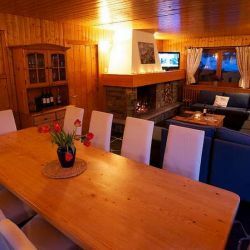 Enjoy our house wines, beer and soft drinks which are unlimited in supply and pre dinner aperitifs can be enjoyed in front of the roaring log fire accompanied by a choice of tempting canapes. 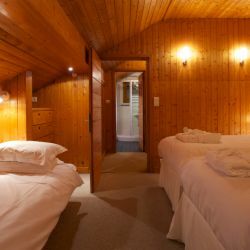 This is followed by a delicious four course dinner, served with our selected dinner wines.